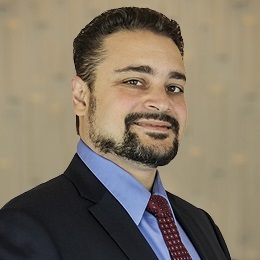 Yousef Elyaman, MD, IFM Certified Practitioner, is a board-certified internist with a cross-specialization in pediatrics. He was one of the first IFM Certified Functional Medicine Practitioners in the world. He is also board certified in integrative medicine through the American Board of Physician Specialties. As the founder and medical director of Absolute Health, a primary care practice located in Ocala, Florida, he has successfully integrated an insurance-based Functional Medicine clinic into his practice. In addition, he has developed and introduced a pharmaceutical-grade line of supplements, which, thanks to its success and high demand, is now available to the consumer both in the office and online. His education and practical experience make him one of the foremost experts in primary care Functional Medicine.